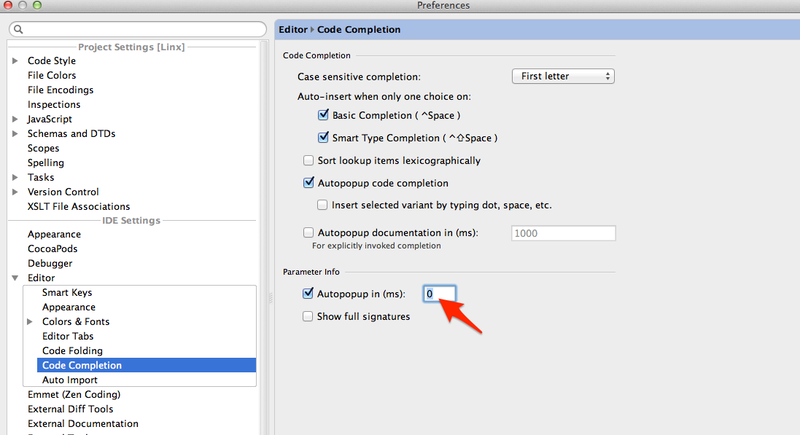 Here is a quick tip if you find the auto complete feature in AppCode to be a bit slow before it appears. I discovered that there is a setting that by default is configured to delay the auto complete popup by one second. Google App Engine SDK bug?